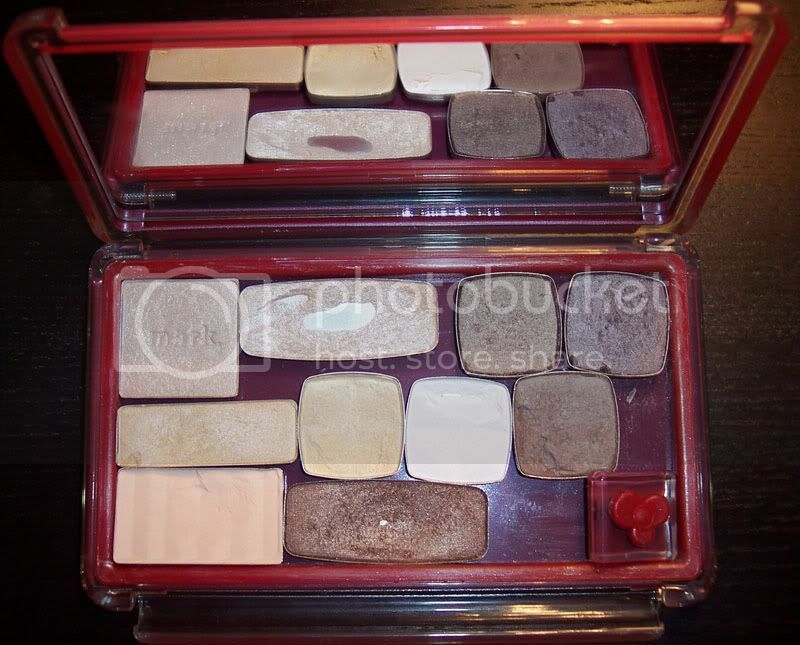 The UNII Palette is a convenient and pretty new way to store your depotted eyeshadow's, blush, powder, and more. Keep Reading for the rest of Review! & to see what's inside my UNII Palette's! First off they have wonderful customer service and ship lightning fast (US free shipping too! ).This was literally in my mailbox the next day. 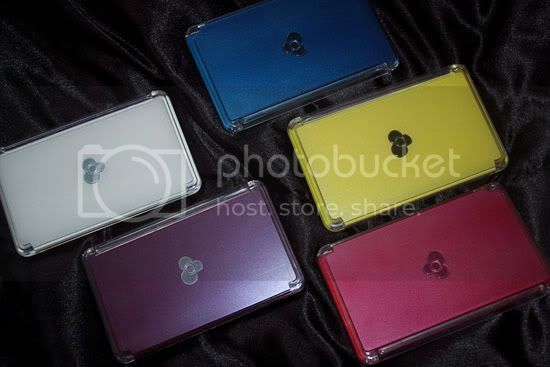 The palettes are $29 each and come in 5 different colors Red, Yellow, Blue, White, & Purple. The packaging is very eco-friendly and unwraps origami style to reveal information about the palette, how to depot, & which brands offer refills. 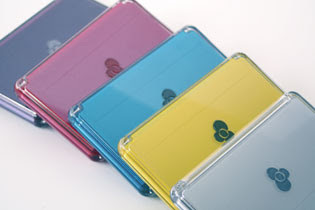 The palette itself measures Inside 2.8"D x 5.4"L x0.4"and Outside 3.7"D x 6"L x0.7" and is magnetic. 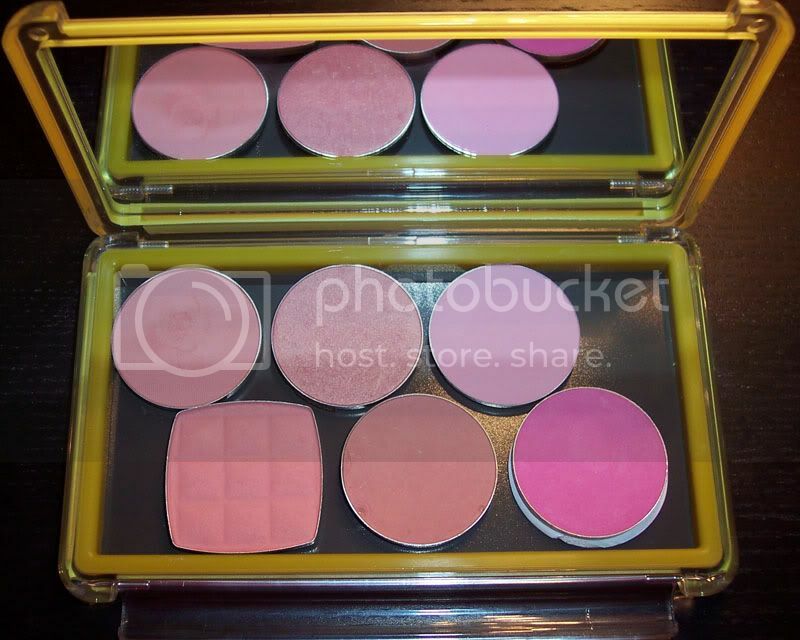 It fits 10-12 MAC pans, and around 10-14 other shadows in my experience. You can also pop in some brushes, liners, blushes, face powder, lipstick pans etc. It's completely versatile. The look of the these remind me of MAC computers, very sleek & modern. 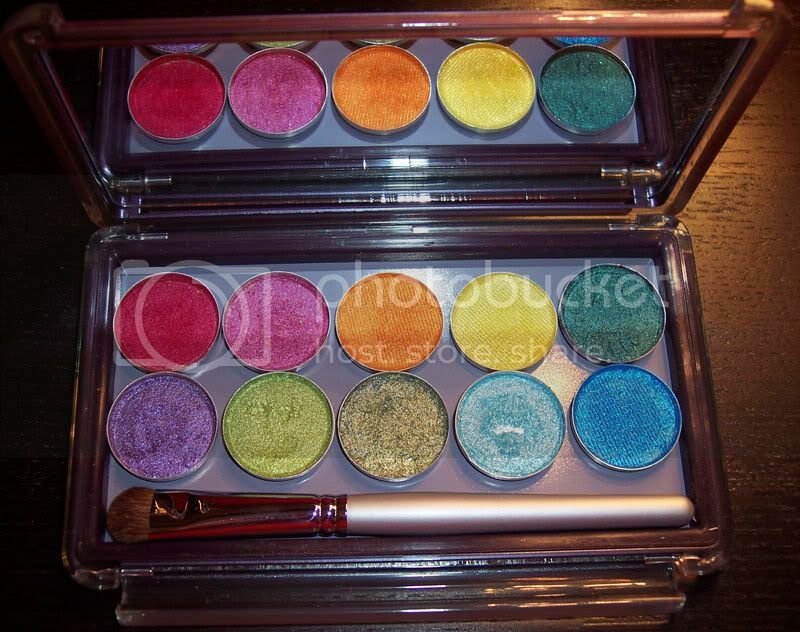 The palette is magnetic, lightweight, sturdy, and just very well made. There's a secure locking closure with a ruberized seal to prevent leaking. It also comes with a strip of writable adhesive magnets for attaching to your pans. The inside has a large mirror for easy touch ups. I really like these palette's, I've been popping these in to my bag for traveling, my kit, and my purse. They're sturdy & well made, meaning less casualties in transit, and they look a whole lot more fashionable than the typical palette's. The only con I can see is the price. It seems a little steep for an empty palette, but considering the quality I think it's worth it. I'd love to see a slightly larger version made and maybe some additional colors. Or better yet prints...leopard anyone? 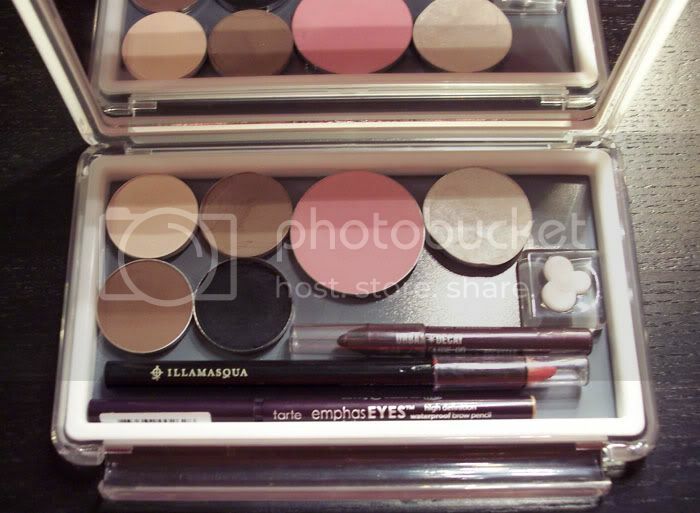 Drugstore Highlight/Neutral Eyeshadows - NYX, Revlon, Covergirl, mark, Flirt!. I forgot how much I loved that Cover Girl single in Champagne. I almost hit pan, and I NEVER hit pan. Easy Breezy! Travel/Face On the Go - An all in one Face Kit. 4 eyeshadow pans, blush, highlighter, UD Mini 24/7 liner, Illamasqua Red medium lip pencil, Tarte eyebrow pencil. You could also nix the liners and add in a face powder & lipstick pan. Jewlery/Odds & Ends - When I travel I never have a good place to put my jewelry, it always ends up falling out or getting lost. 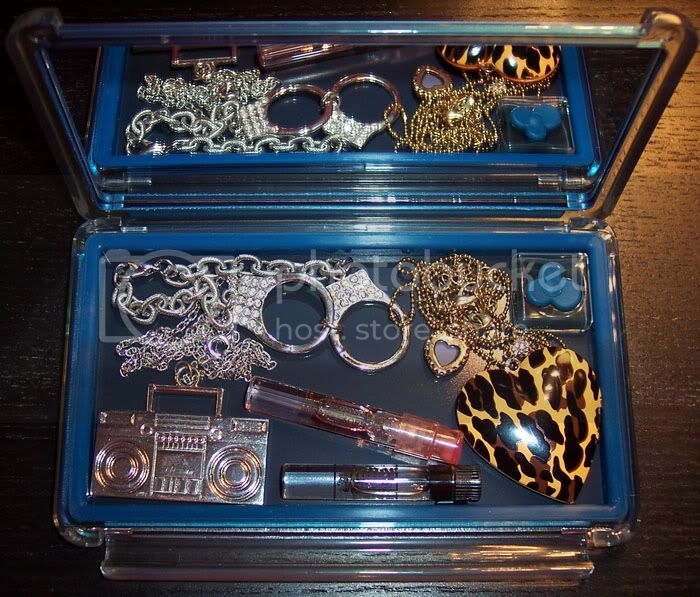 I discovered that these make great carry-alls for your jewelry or any other small personal items that you don't want floating around in your purse/luggage...perfume vials, aspirin packs, condoms, gum, your ID/cash, pen, post-its etc.